Happy Friday, friends! 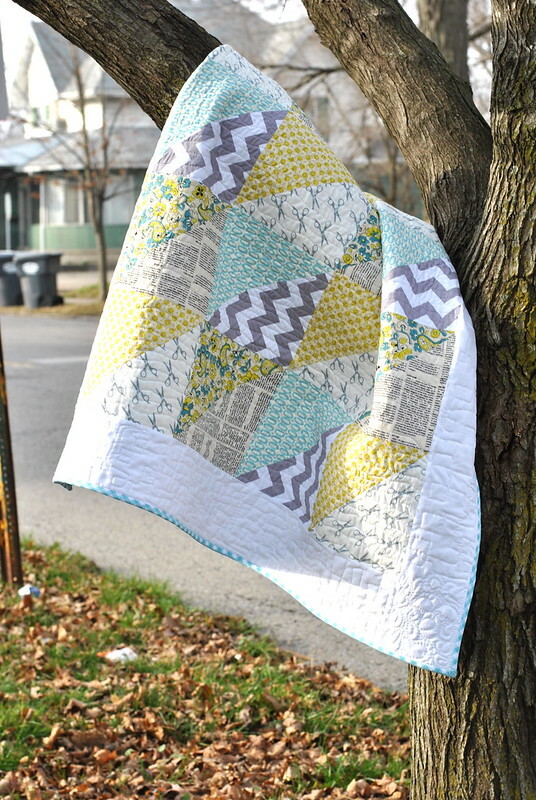 I wanted to pop in and share my free tutorial for the Quick Triangles Baby Quilt, which is now up at Craft Buds. 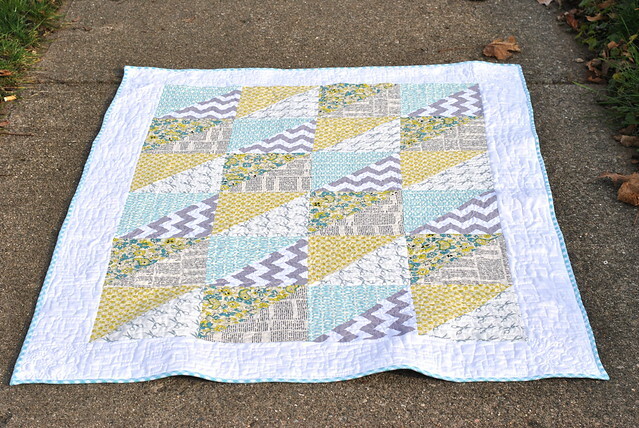 I finished this quilt in December, just before Indiana was pummeled with snow. This is my fabric bundle from Sew Lux fabrics, which includes grays, yellow and aqua fabrics in modern prints by various designers. I wanted to challenge myself to make an entire quilt (crib size!) from these six fat quarters, and I'm really happy with my new-found method for making HSTs 8 at a time. If you like this fabric combo, you can purchase a a bundle or a full quilt kit at Sew Lux. Chrissy at Sew Lux is super sweet and put together a kit for the border and binding fabric to match. The fabric bundle seen here is even on sale through January 10th! You can get your fabrics here. Finished Quilt Size: 38" x 53"
If you've got six fat quarters though, you'll be ready to get started with this free quilt pattern, which you can find now at Craft Buds. This pattern is very beginner-friendly, and I'd recommend it for showing off strong prints! I hope you have a wonderful weekend. Matt and I are headed to Nashville tomorrow to begin the somewhat daunting task of finding a house to rent. I've been checking Craigslist, HotPads and Zillow like mad, but nearly every house we contact is already spoken for. Still, we've managed to schedule a look-see at three potential new homes. Wish us luck! 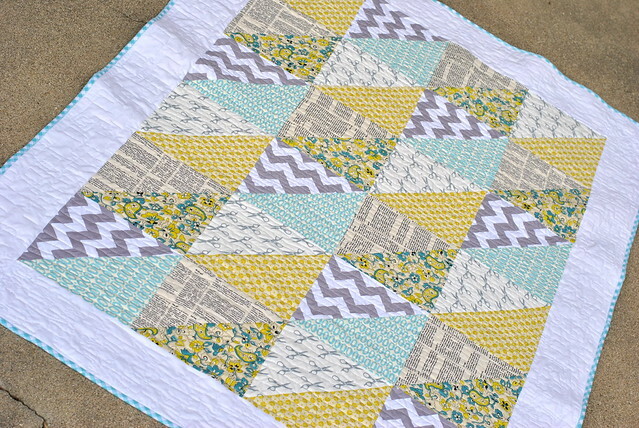 Really nice baby quilt...great fabrics! So cute, i've pinned this to do later! love your color choices too. So simple and nicely chosen fabric. I will add this to my pin board and hope to make one in the near future! The fabric you selected is gorgeous :-)! I have a grandson that would love these colors bright and cheerful.